Written by Eriq Gardner — A group of plaintiffs have overcome the first major hurdle in a lawsuit that aims to establish that the unofficial anthem to the Civil Rights Movement is not really under copyright protection. 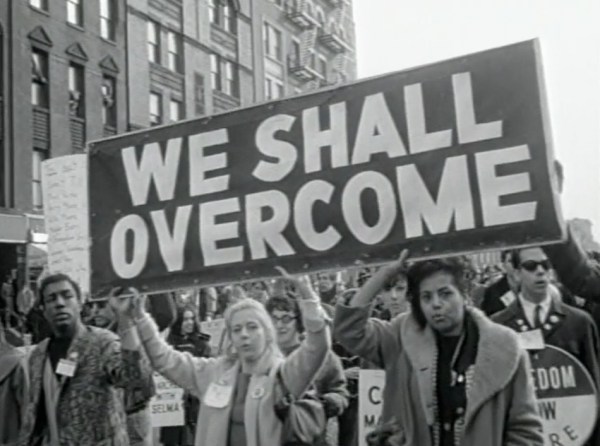 On Monday, a New York federal judge rejected a publisher's bid to dismiss, ruling that the plaintiffs have plausibly alleged that lyrics in the first verse of "We Shall Overcome" were copied from material in the public domain and that there's been a fraud on the U.S. Copyright Office. The lawsuit was filed in April by the same legal team that got Warner/Chappell to back off from ownership claims over "Happy Birthday to You." The production company behind Lee Daniels' The Butler later joined the "We Shall Overcome" lawsuit as a co-plaintiff after being told by the publisher that to use the song as it wished in the film would require a $100,000 payment. The defendants in the lawsuit are The Richmond Organization and Ludlow Music, which have retained commercial control of the song since copyright registrations were made in the early 1960s. At the time of the registration, according to the plaintiffs, the song had already largely been in circulation as an African-American spiritual used as a protest song by striking tobacco workers. Pete Seeger, the legendary folk singer, had already founded an organization called People Songs, Inc., which had published a periodical that in 1946 included the entire musical composition with authorship credited to the FTA-CIO Workers Highlander Students. Over the years, the words of the hymn changed and new verses were added. By 1959, the song was distributed on phonographs, and the following year, Ludlow filed for a registration for an "unpublished derivative work," crediting the wife of a member on PSI's advisory committee as well as a couple of other folk singers with authorship. Seeger would later record his own copyrighted version of the song in 1963. In defense of the lawsuit, Ludlow Music and the Richmond Organization asserted that the copyrighted version was sufficiently original to merit protection. U.S. District Court Judge Denise Cote writes in her opinion that the plaintiffs have sufficiently alleged otherwise to survive a motion to dismiss. "The copyrighted work differs from the 1948 version by only three words: (1) 'we’ll' for 'I’ll'; (2) 'shall' for 'will'; and (3) 'deep' for 'down,'" her opinion states. "The Plaintiffs have also plausibly alleged that the individuals listed on the 1960 copyright registration are not the authors of the changes that were made to the three words in the Song’s first verse. If they are not the authors, the Defendants cannot claim copyright protection. The Plaintiffs allege that the author of the underlying work is unknown, that it is unclear who changed 'will' to 'shall,' and that a Black tobacco worker named Lucille Simmons changed 'I' to 'We.' Simmons is not listed as an author in the application to register the copyright for the Song." Cote adds, "The Defendants’ arguments to the contrary are unavailing. The Defendants’ argument that the copyright registrations are entitled to a presumption of validity does not compel dismissal of the claims. A certificate of registration does constitute prima facie evidence of the validity of a copyright." It's also decided that more fact-finding will be required to figure out whether the defendants "deliberately omitted" from the copyright application all antecedents of their allegedly protected song and whether there was a sufficient basis for listing the authors being credited on the registration. "These allegations of fraud are sufficiently specific, and provide enough information from which to infer the requisite intent, to survive a motion to dismiss," continues Cote, who also rules that even if "We Shall Overcome" was properly copyrighted, plaintiffs have plausibly alleged the song was subsequently published without a copyright notice as required by the 1909 Copyright Act. In other words, the defendants may have divested their rights. As a result of Monday's decision, The Richmond Organization and Ludlow Music will need to continue to fight for the song in court. Represented by attorney Paul LiCalsi, they've stressed to the public that royalties from the song are earmarked for the Highlander Research and Education Center to support art and research projects in the African-American community as well as the preservation of Civil Rights Movement documents. Cote's decision wasn't a complete victory for the plaintiffs. The judge deems various asserted state law claims — money had and received, deceptive trade practices, breach of contract, rescission — as preempted by federal copyright law. The rejection of these claims could make it more difficult for the plaintiffs to collect substantial monetary damages outside of a settlement, though the plaintiffs' attorneys at Wolf Haldenstein have proven some deftness in their copyright-freeing pursuits.